We perceive and respond swiftly to the changes and needs of our global society and food culture. We build trust with our clients by offering our honest sales activities and providing innovative and high value added services. We educate employees with respect to the character and personality of each and strive to foster their specialty, sense of innovation and creativeness. Taishin’s Corporate Standards of Conduct are set as guidelines for management and employees in conducting daily business operations with the highest ethical principles. 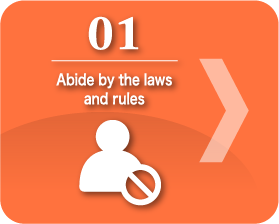 We avoid unethical conducts and abide by the laws and rules of the nation in all our business operations. We do not allow any anti-social behavior, against which we display strict measures, and we maintain positive relationships with the administrative and political authorities. We continue to strategize our operations for profitable growth. 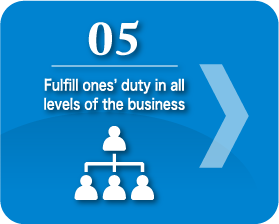 Each member of the management and employee fulfills his or her utmost responsibility. We operate under the “Customer Comes First” policy and serve our best to deliver new items/services in good quality that the market needs the most. We stand firm in the company’s mid-to-long term perspectives that challenge new markets and new fields of the business, while we capture and act quickly to market changes and trends. We eliminate excessive services, reduce cost and waste in every step and transaction in order to contribute to the development of the marine products industry and its distribution system. We create safe, eco-friendly and user-friendly merchandise/goods that maintain the well-being of humans and the environment. 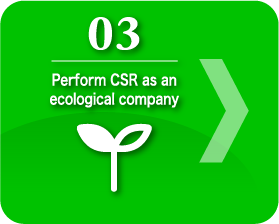 We execute activities that contribute to environmental protection. We deepen our own perspectives, establish our own ideas and act with purpose. 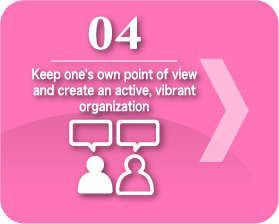 We value communication and mutual respect for effective and efficient exchanges of opinion and information. 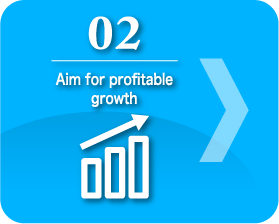 We actively commit to speed up the growth of our business. We plan policies and ideas on our own and strive to consolidate team effort to deliver them in the appropriate sections/departments. We demonstrate leadership and courageously challenge difficult tasks. We enhance the positive qualities in each employee to drive the growth of the company. We evaluate each member in fair judgment and aim for qualitative improvement.